Understandably, you’re only just getting your head around preparing for Christmas, but the time quickly approaches and, after the big day has come and gone, 2018 is just around the corner. New year, new job or new perspective? The New Year signifies the jump start you may need to move on in your career, but if you’re happy where you are then use this opportunity to excel and become an integral part of your team. · Upload your CV to our CV directory and we will do all the hard work for you. · All you will have to do is turn up for the interview to sell yourself! · Research the right job (a lot of time taken off your schedule). · Apply for job after job – which can be detrimental to your self-esteem. · Wait for the responses. 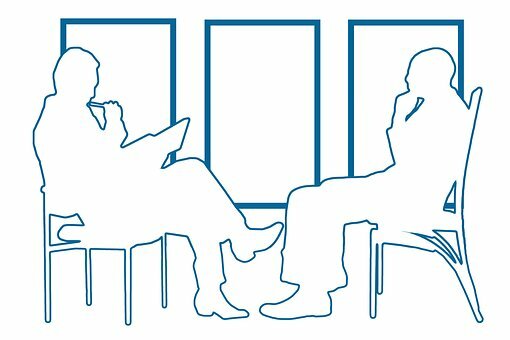 · Go to interview after interview for jobs, which may not be for the right role. Improving your CV prior to the new year is vital: why wait to make it your new year’s resolution to get a new job? Not only that, a large chunk of the population is going to think the exact same as you: ‘new year, new me’, meaning the competition level increases dramatically once January comes around. Getting a job by the new year doesn’t mean you have until December to get started – you want to be tying up in December, not just kicking off! DYWAJ advice: Produce a list of ideal companies, listing off positions that you feel would best suit you before December, so that you are prepared to apply by the beginning of December. One of the basic tips for carrying yourself correctly for an interview would be to have a positive attitude about yourself – your CV clearly sold it to the company, so go and smash the interview! Getting a job secured before the new year will allow you to start in your new company with a fresh start for 2018 and means you can relax over the Christmas period – too bad on those who have only just started to apply! For more information or guidance on your new career path contact DYWAJ on 0121 726 9520, or get straight into the process by uploading your CV! DYWAJ Could Provide You with A New Job for Christmas – Upload Your CV Today. Some may tell you that employers aren’t interested in recruiting throughout the Christmas period, rather in the new year, but this is simply untrue. The jobs at Christmas are theoretically much easier to get a hold of! It’s not a fact of whether there are jobs out there. More a fact of there being a lack of candidate interest, who instead opt to take full part in the festive season, postponing any job hunting for the new year. Don’t fret! If you upload your CV to DYWAJ, you will instantly eliminate the stress of job hunting, allowing you to take part in the festive spirit this year, just as much as the next. By applying prior to the Christmas period, it means that you can get a head start against your competitors, whilst they waste their free time engrossed in the festive season, awaiting the new year. The longer you wait, the less chance you have. The job market is competitive to say the least, especially around the month of January, when everyone’s new year’s resolution is to start a new career path. Applying at Christmas puts you in good stead. By getting comfortable in your new job, it means that you can learn all the basics, and be freshly prepared for the new year. Yes. Christmas jobs are heavily associated with singly temporary roles. And, although there is a high volume of temporary positions over Christmas, this isn’t to say that employers aren’t looking for a full-time role to fill after this initial stage. Even if you do gain a temporary job, it is still worth putting in the time and effort to motivate yourself for that end goal of a more permanent role! Plus it’s great to put this extra work experience on your CV. DYWAJ have got your back! Do you want a job for Christmas? Don’t waste your time researching available jobs… Especially when you’ve got all that Christmas shopping to get done! Job hunting is a very time-consuming process; therefore, it deems beneficial to leave this in the hands of DYWAJ. By uploading your CV today, your information will be easily accessible to lots of recruitment firms and give you a better chance of being snapped up. If you want to find out more about DYWAJ and how it can help secure yourself a new job for Christmas, then either get in touch on 0121 726 9520, or upload your CV! Author dywaj-adminPosted on November 17, 2017 November 28, 2017 Tags available jobs, do you want a job, DYWAJ, job hunting, new career path, new job, recruitment, temporary job, temporary positions, Upload your CV, uploading your CVLeave a comment on DYWAJ Could Provide You with A New Job for Christmas – Upload Your CV Today. Whether you’re applying for a role in retail management, sales or a customer facing environment, your CV needs to ensure that the recruiter simply can’t forget you. The retail industry is a popular one, especially due to the desired Christmas temporary jobs. You may want to find out what skills are required for the role so you can obtain these skills and give yourself a competitive advantage. It is important to be concise throughout your CV, you need to include all the relevant content. When you’re improving your CV, make sure that it is the strongest it can be – we advise asking one or two other people to proof it for you. Personal details are crucial to include on your CV. You will need to keep this information at the top, as it’s a main priority for your recruiter. Use your own personal email instead of a previous work or school email. Not only will you have to have access to this account, but you want to come across as sensible through a more professional email address, such as your first name and surname. Regardless of other templates, your CV does not need a picture – don’t worry you’re not signing up for a modelling agency! 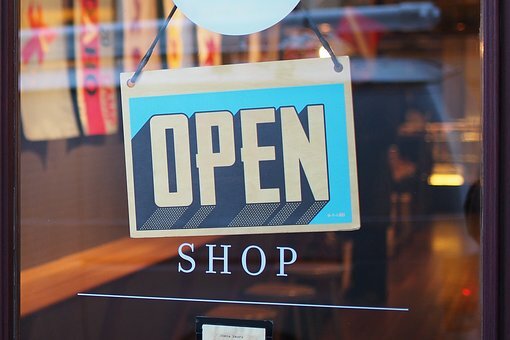 Work experience is the key part to a retail CV. The recruiter will be looking at what type of knowledge you have, primarily to check whether you have come into contact with customers. Don’t fret: not all retail industries want experience as most of the skills that are required will be learnt throughout the role. Top Tip – Use the keywords and phrases the retailer uses in their job description within your CV as this is what they will be looking at when scanning through countless applicants. Recruiters want to see that people have a strong educational background as this helps them determine the capability of the candidate. Make it clear to the recruiter that you have the specific entry requirements stated. But most importantly, don’t lie about your grades or qualifications! E-recruiters use keywords to search through hundreds of CVs. Retail keywords could include, ‘customer service’, ‘team work’, ‘flexibility’ and ‘communication’. The keywords will vary dependant on the job role. Management roles will need to include ‘team building’, or ‘influencing others’. And so, you will need to consider the job description to target your keywords. 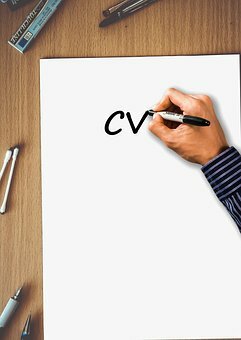 The secret on how to write a CV for the retail industry, is to provide sufficient detail to show that you have the capabilities to do the job. Remember but don’t go into too much of a tangent– leave the recruiter wanting to know more! Upload your CV today on DYWAJ to start your retail career path. The ideology of getting into the entertainment industry is purely based around the idea of getting ‘scouted’ – no need for a CV! Well, we can safely say that it’s not that easy, and you WILL need a CV. However, don’t panic. Here at DYWAJ, we have compiled the best CV writing tips for this industry. · Your CV needs to shout how exciting and creative you are; you’re wanting to go into the entertainment industry, so you’re going to need to address this. · If you have had experience with a famous company/person, be sure to highlight this. Everyone is impressed by a little, subtle name-dropping! Yes, you are going to want to appear creative. But you need to ensure you stick to the professional format (clear and concise). You’ll find that with any research you do, this is very much a recurring tip. Something obvious to keep in mind is to avoid using fancy formatting and too much colour. There are plenty of examples of this plastered all over the internet, but that’s not to say they are right! Of course, a hint of creativity is nothing to frown upon in this industry. So, advertise the real you; give your CV a compelling header if you wish, involving your personal details, just don’t go overboard. It’s important to create balance within your CV. Don’t list everything you’ve done; if your previous job had 15 responsibilities, but only a couple are relevant to the job you’re applying for, leave the remainder off your CV. You may want to start off with a strong summary, which tells your professional story. · Place your education at the top. Highlight any filmed projects you have done or any similar assignments. · Your experience comes next. Within this you will need to list your job responsibilities in bullet points to ensure the format stays clean. Try to include the keywords included in the job posting, as these will be what the recruiter will be looking for. · You will then need a separate ‘profile’ or ‘skills’ section, to add in more personal information, allowing your recruiter to gain a clearer perspective of yourself. Feel free to boast about your awards; winning best actor in your school play is everything to be proud of! Lastly, remember, the more you have done, on or offstage; the more chances you have of securing the role in your new career path! Be sure to check out our DYWAJ blog on the general writing tips.